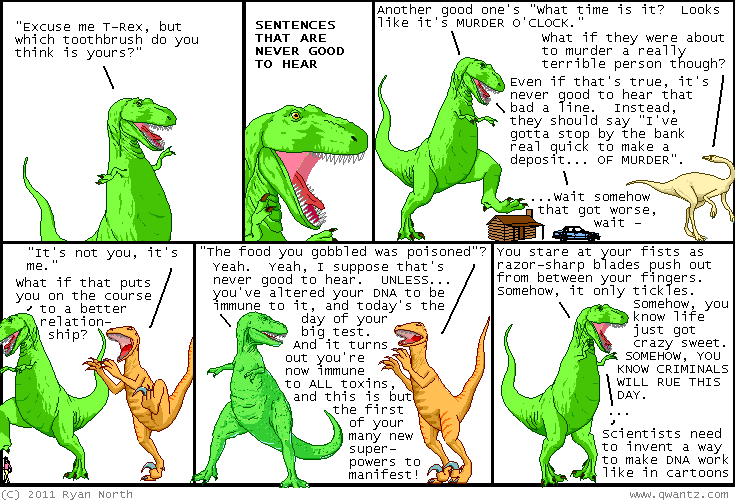 Dinosaur Comics - May 24th, 2011 - awesome fun times! May 24th, 2011: I feel bad whenever we here in the Colonies get holidays that others don't, but then I remember that sometimes the world is on holiday when Canadians have to work, so hopefully it evens out!! Anyway that's why there was no new comic yesterday; Past Queens are to blame in this particular instance.